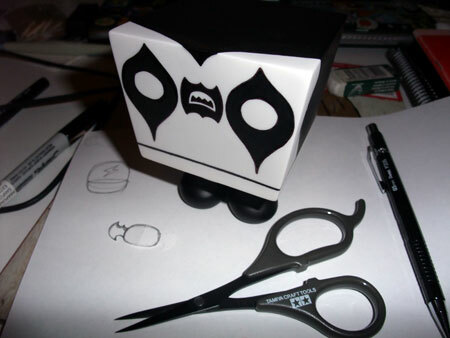 October « 2009 « Paul Shih – Toy Designer, Illustrator & Artist. 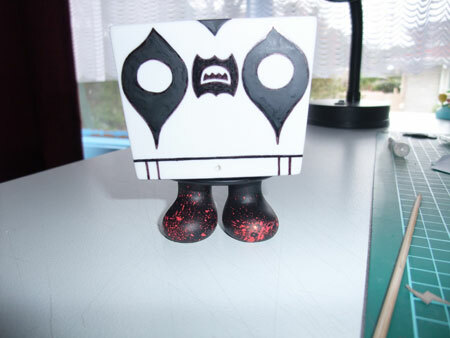 PANDARA Resin Toy, 100% hand cast & painted by me! 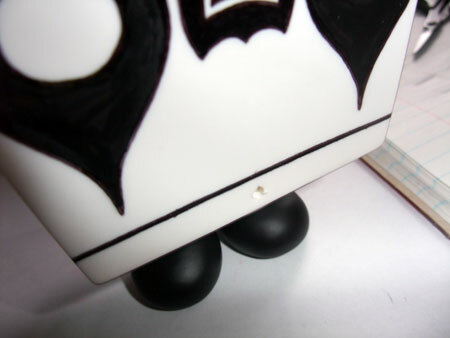 This is a special Halloween edition, limited to 3 figures ONLY! 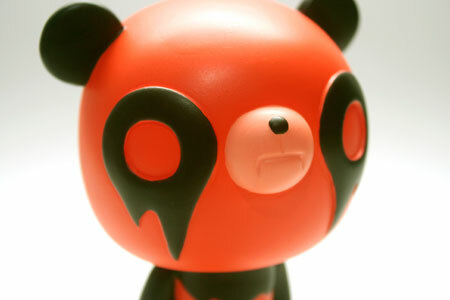 I’m releasing this Halloween Edition(devil orange) PANDARA on 31 Oct! 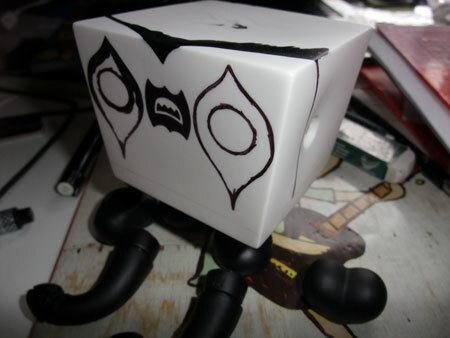 ONLY 3 to be made! more ordering info to follow soon…. p.s. 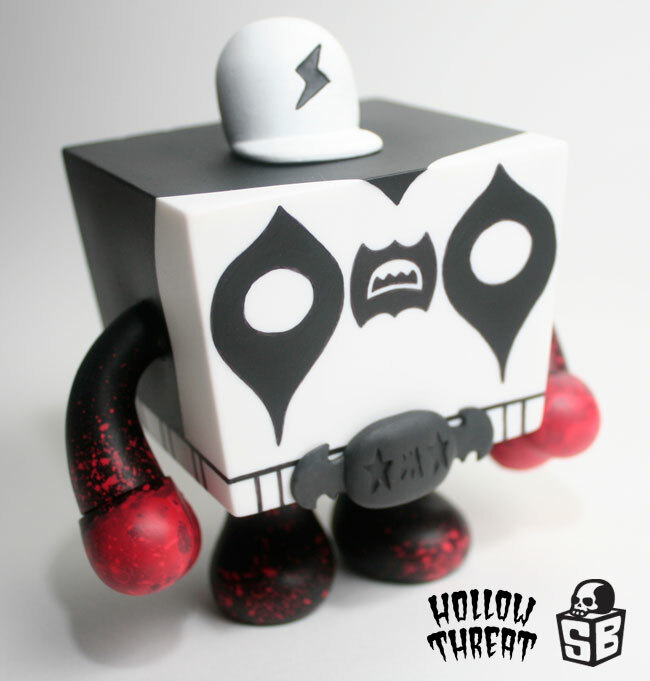 all skullbox customs are up for grab now! 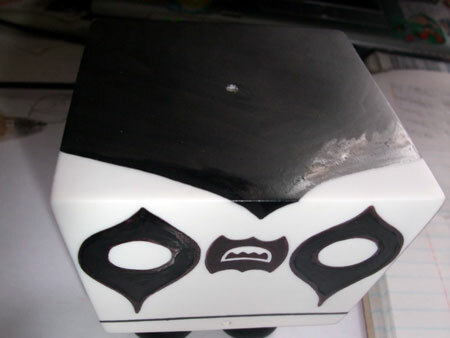 buy your fav skullbox here! 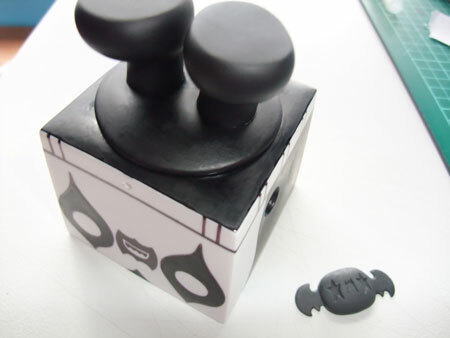 Posted in PRODUCT, TOY | Comments Off on Halloween spirit!? yay! my hollow threat skullbox is done, on its way to japan now…. here’s the 2nd half of the custom process! 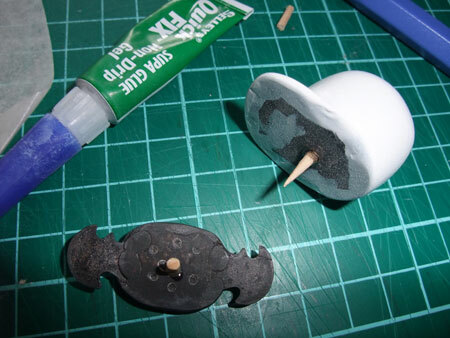 adding reinforcements to the accessory, yup thats little chunk of toothpick…. 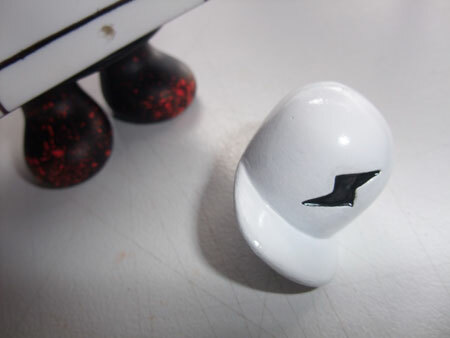 last minute decision, the thunder show up very well with shadow, but the black paints elsewhere just overwhelms the details, so i decide to paint the thunder black on cap…. pencil and inking the outlines…. 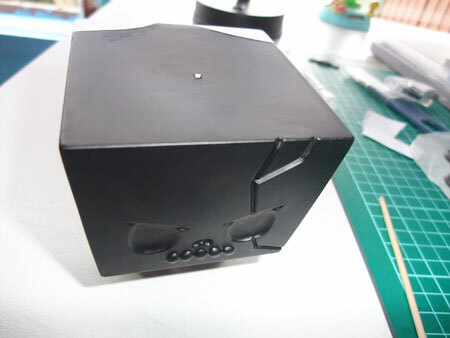 inked up the skullbox, and planing the accessories…. 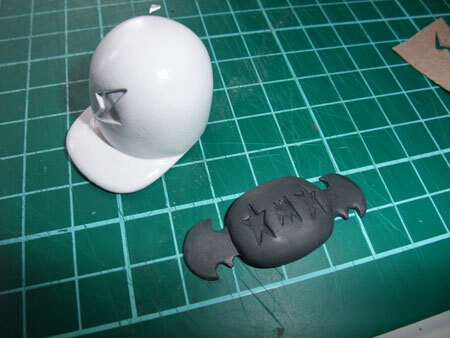 drilling holes & preparation for the accessory…. 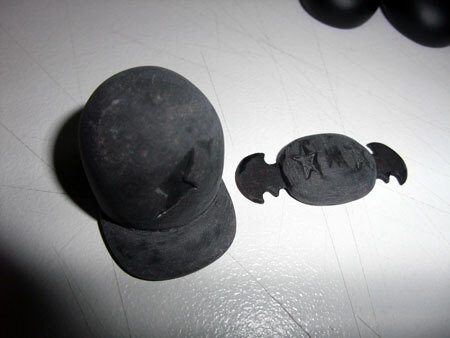 six tons death’s thunder cap and death bat belt, made with fimo clay! thats it for the part one WIP, stay tune for part two very very soon!